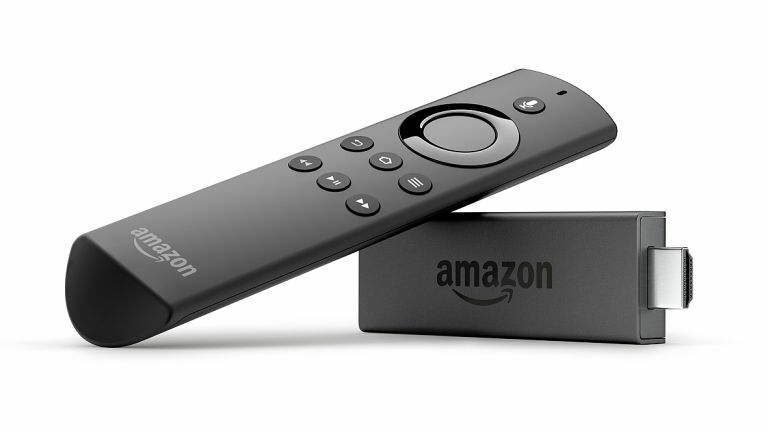 According to Amazon, the Fire TV Stick is its 'Fastest selling UK product ever.' Given how good it is for what it costs, that's no surprise. Well, hold on to your hats, cos now there's a Fire TV Stick 2017 update, with the same Alexa voice control as its Echo line of products, a new UI, faster innards… But still no 4K. From our brief hands-on with it yesterday, we'd say the Fire TV Stick v2 is indeed nippy, and visual performance is excellent. Yes, it would be nice to have 4K but for 40 quid, that's a big ask. UHD streaming is still available via Amazon's higher-end Fire TV box, which should itself be getting an update to Alexa and the new UI in due course. You activate Alexa and vocally search for content via a mic in the remote. Interestingly, unlike on the Echo, you can't awaken Alexa by saying her name, on Fire TV. Alexa also gains a visual element here, as you might expect. For instance, requests for the weather bring up the temperate conditions for the week ahead, and there are pages of stats for sports scores. Search works slickly, with access to 'more than 7,000 apps, games and Alexa skills and Amazon's many thousands of movies and TV episodes across terrestrial catch-up, subscription streaming services and its own paid-for movie and TV store. Search for a film or show and it'll pore through Prime Video (subscription), Amazon Video (purchase and rental), as well as the likes of Netflix, BBC iPlayer, ITV Hub, All 4, My5, Curzon Home Cinema, DisneyLife and more, to find it. Breaking Bad, for instance, can be bought from Amazon Video, or viewed as part of your Netflix sub, if you have one. The new interface overall is considerably nicer to look at, with a big preview pane for trailers that Amazon thinks you might like up top, and your most recently viewed videos and apps right below that. Beyond that, functionally it's all but identical, as far as we could make out, but visually it's far more arresting. Amazon starts shipping the Fire TV Stick 2017 version on April 6.